A boy dressed as the "angel of peace". 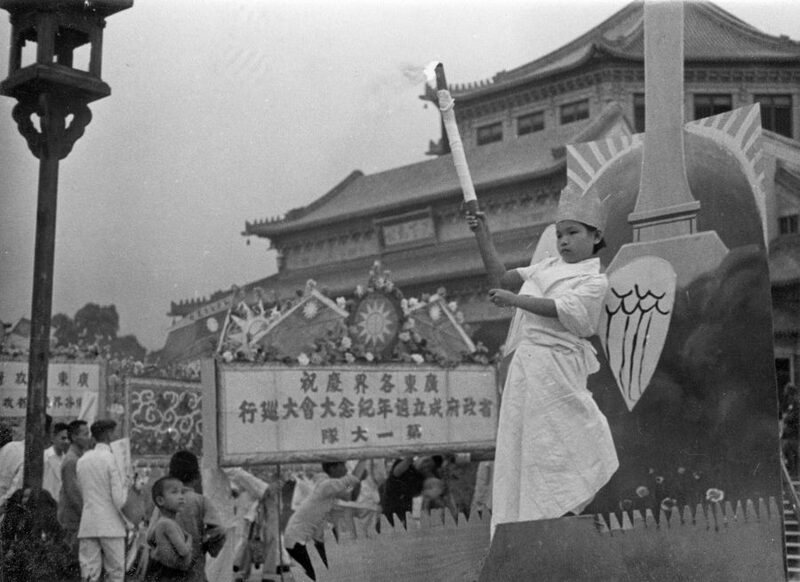 A boy is dressed as the “angel of peace” and rides on a float during celebrations marking the first anniversary of the founding of the Guangdong Provincial Government under Wang Jingwei in May 1941. The building in the background is the city’s Sun Yat-sen Memorial Hall (Zhongshan jiniantang).